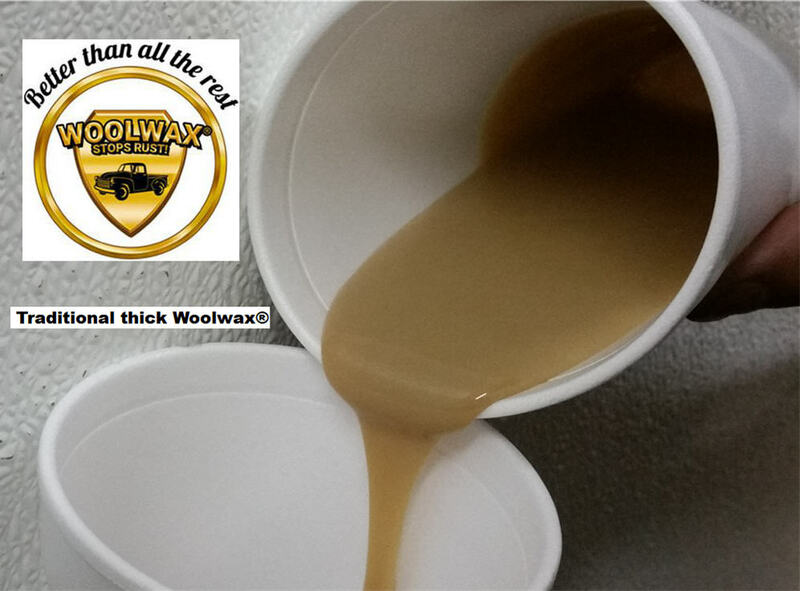 WoolWax Undercoating Formula is a lanolin based corrosion inhibitor developed solely to protect the undercarriages of automobiles and trucks. Our lanolin is blended with other proprietary agents to provide long term corrosion protection. WoolWax will provide long term protection (annual application) against salt, liquid calcium chloride, brine, and all other ice control agents that are being used by municipal departments. Most other undercoating products contain up to 70% solvents, which make these products very thin and watery. Without a very thick viscosity, these products break down and wash off quickly. WoolWax is solvent free and very thick and viscous. It applies like a heavy latex paint, which makes it very resistant to wash-off. WoolWax does not dry. It remains soft and pliable and continues to be active, migrating into all the inaccessible areas.